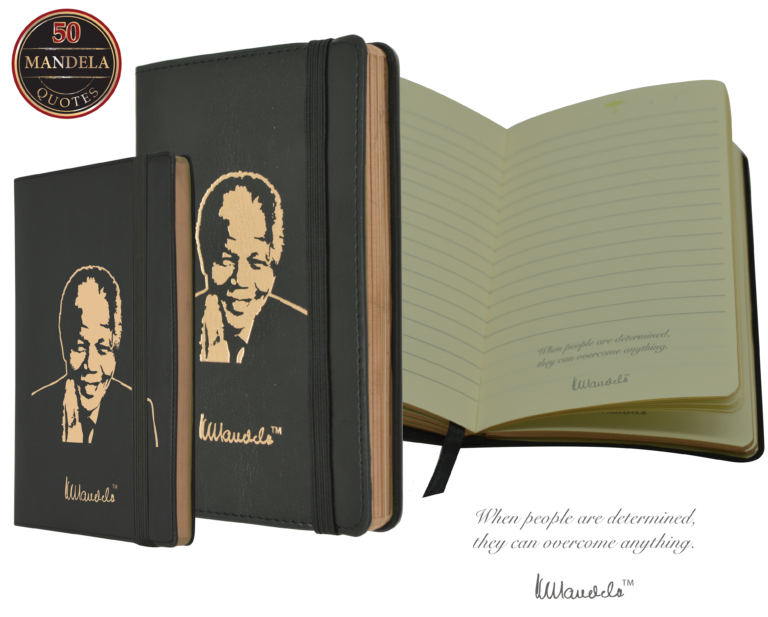 The Executive Mandela notebook is a hand crafted limited edition notebook. A luxurious soft cover notebook cover with specialized stitching around the edge. The authorized notebook contains 50 of Nelson Mandela’s most famous quotations. The edges are gilded in rose gold to complete a premium edition to our extensive Mandela notebook range. The Executive notebook is a collector’s edition hand crafted for our discerning buyers.